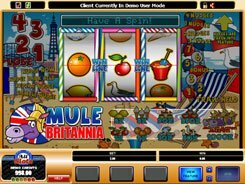 This is yet another three-reel slot from Microgaming that includes Nudges, Holds, a second-screen bonus game and other things that are common to pub-style machines. 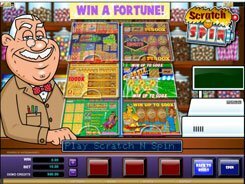 Besides, Scratch ‘n’ Spin offers a mix of a classic slot gameplay and scratch card features, all delivering a unique experience and great spinning action. 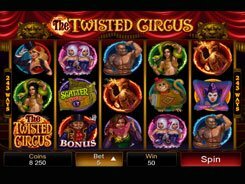 The game is played over a single payline that accepts a bet varying from $0.1 to $10. 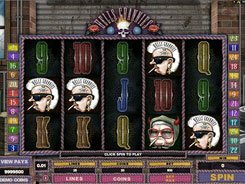 The symbols are cherries, lemons, oranges, bars, sevens and the slot’s logo. 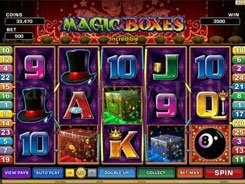 Hitting any three matching symbols on the payline awards from 2 to 20 “scratch cards”. For example, three 7s produce a win of 10 scratch cards. If this happens, you are taken to the second screen where you are presented with six scratch cards to pick from, each having its own theme (Vegas nights, football, horse racing, etc.) and different maximum wins (x500 to x1000 times a bet). Besides, the slot randomly awards nudges and holds that would really come in handy sometimes. 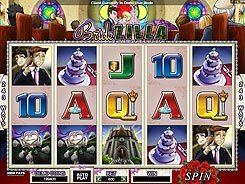 Overall, you are going to enjoy decent payouts and the unique way Scratch ‘n’ Spin is played. PLAY FOR REAL MONEY!